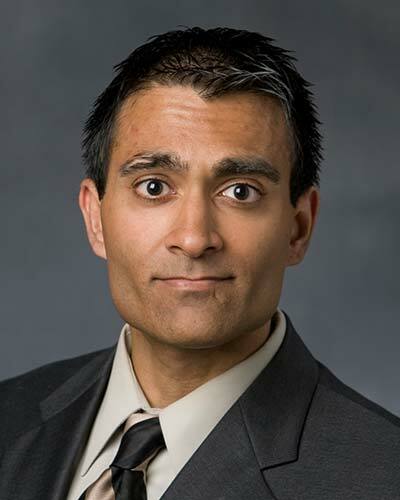 Dr. Mayur B. Patel is a Tenured Associate Professor in the Department of Surgery, Division of Trauma, Emergency General Surgery, & Surgical Critical Care at Vanderbilt University Medical Center. Dr. Patel graduated Phi Beta Kappa with General and Departmental Honors from Johns Hopkins and earned his medical degree at Vanderbilt. He then completed his general surgery residency at Duke. He returned to Vanderbilt for his clinical training in surgical critical care, trauma, and acute care surgery, and for his research training by completing Vanderbilt’s two-year program in the Master of Public Health. Dr. Patel has three active Board Certificates in General Surgery, Surgical Critical Care, and Neurocritical Care. Dr. Patel's research focuses on getting answers that matter to trauma victims, ICU survivors, and their health-care providers. His current research interests focus on brain dysfunction and critical illness, as related to traumatic brain injury (TBI), post-traumatic stress disorder (PTSD), long-term cognitive impairment, dementia, and other aspects of ICU survivorship. The National Institutes of Health, Agency for Healthcare Research & Quality, Eastern Association Surgery of Trauma Foundation Research Scholarship, Vanderbilt CTSA, and the Vanderbilt Faculty Scholars Program have supported his research efforts. He is leading an NIH R01 for the ongoing INSIGHT-ICU Study and will be leading the upcoming BRAIN-ICU-2 Study with Drs. Ely and Jefferson. However, he is most proud of his harder-working and loving wife, Anna K. Person MD, Vanderbilt Fellowship Director of Infectious Diseases, and their talented five children, Mia, Alexa, Luke, Jack, and Hugh. For more details of his work or for his CV, please contact him.